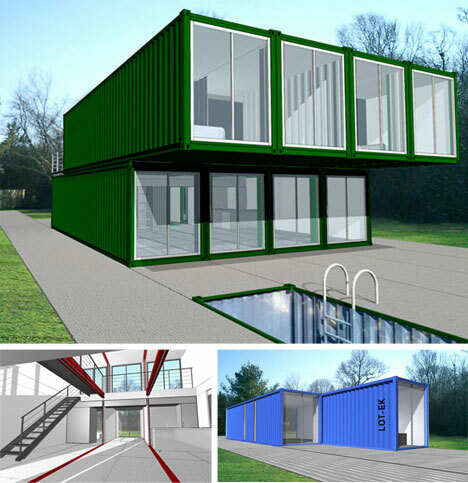 After the overwhelming praise for our previous post on cargo container homes and offices we simply couldn’t resist doing a follow-up with even more amazing shipping container architectural designs from around the world. From self-transforming shipping container rooms to towering retail and loft spaces and emergency housing, here are ten additional examples of amazing recycled designs (including information on a company you can hire to create your own modified shipping container places). Above is an amazing shipping container living space that transforms on demand into a modular work of recycled architecture. This living area is made from one large shipping container that is modified to open up with the push of a button to form a usable living area. This space has everything you need: bathroom, small kitchen/bar area, and a couch to relax on. All it needs is some sweet transforming furniture. 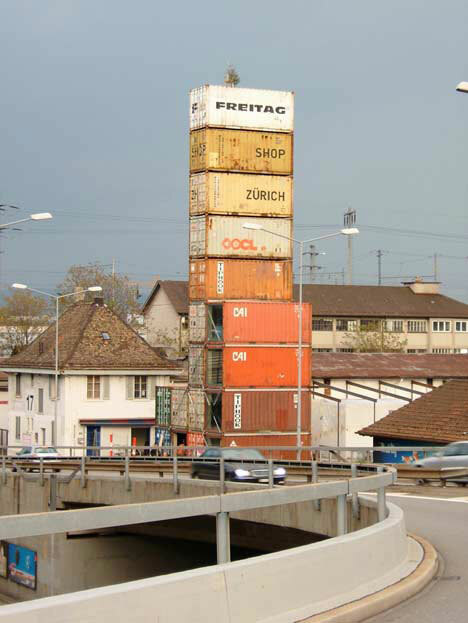 The Freitag Shop in Zurich is built entirely out of 17 old, rusted shipping containers. The 85 foot high structure really emphasizes the company’s dedication to eco-friendly products, which includes messenger bags made from recycled tarps and tires. The structure features staircases between each level of the shop and a viewing area at the top of this ‘eco-friendly skyscraper’. Container Cities are designed to provide affordable, stable and easily constructed alternative solutions to creating conventional office, workspace and live/work spaces. When they are done designing the containers themselves become a colorful structural system complete with nuanced design additions and modifications that blur the line between container and architecture. These modular creations can also be constructed and deconstructed/move relatively easy for short- and medium-term structural solutions. Completed in 2003, this East London youth center took only 1 day to construct the exterior! The structure is composed entirely of 7 used storage containers. The result was a cost-effective solution to traditional construction. Mile End Youth Centre has been considered the future of inexpensive construction for buildings such as this one. 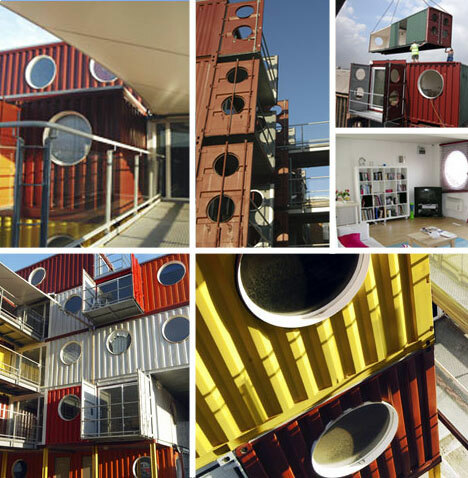 The awesome Riverside Building in London is a masterpiece of storage container recycling. 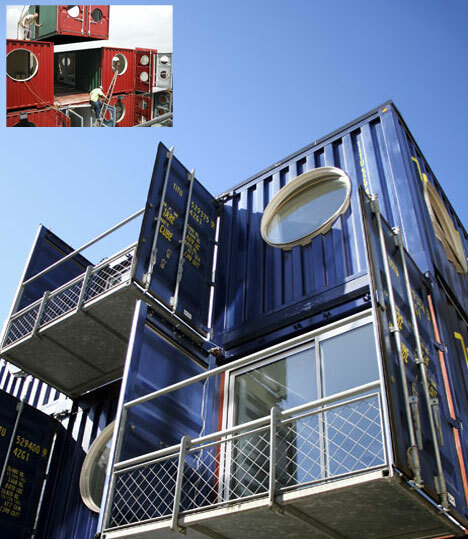 This large office building is constructed out of a total of 73 used storage containers. 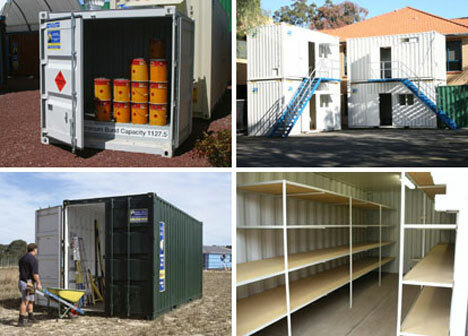 It took only 8 days to piece together each container into a total of 22 office space units. 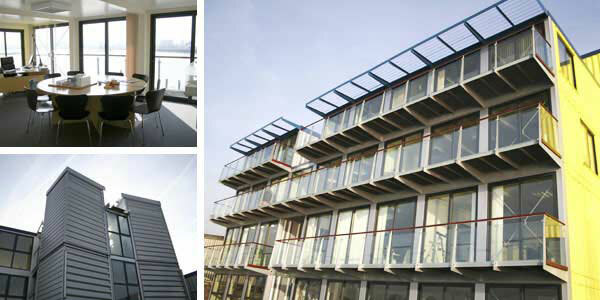 Construction of this building was completed in 2005, and the result was a cost-effective office space and awesome views of the Thames River. 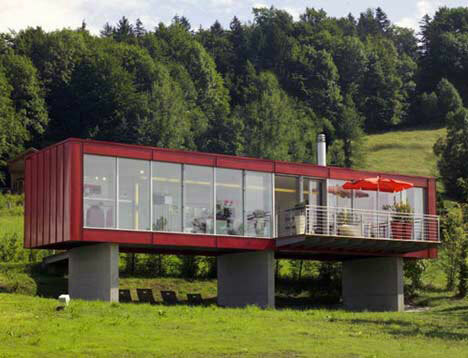 Check out this retro-looking prefabricated house located in the Austrian countryside. This inexpensive home was created by Espace Mobile who sell prefab homes like this one for between 55,000 and 95,000 Euros. Each one of these homes comes with a 3-year warranty, and each section of the house is 4 meters wide by 1-15 meters long. Each section can be pieced together to the customer’s liking. 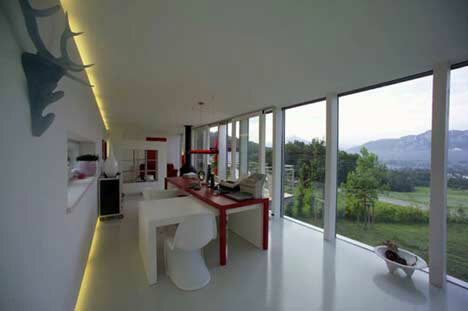 This place offers spectacular views of the countryside through its floor-to-ceiling windows. 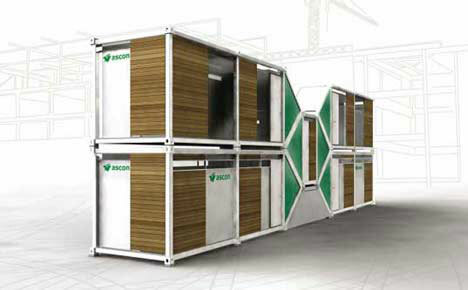 The Linx Shipping Container Shelter offers an innovative solution for temporary shelter applications, such as for construction workers. 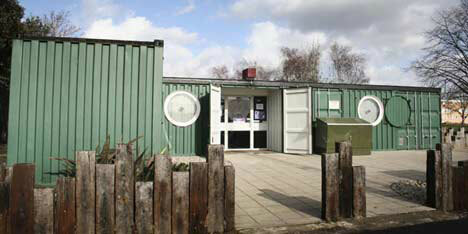 The shelter is made out of 20 foot long shipping container that can be stacked 2-stories high. The structure includes a kitchen, dining room, showers, bathrooms, office space, and sleeping areas – not exactly your average construction worker shelter! 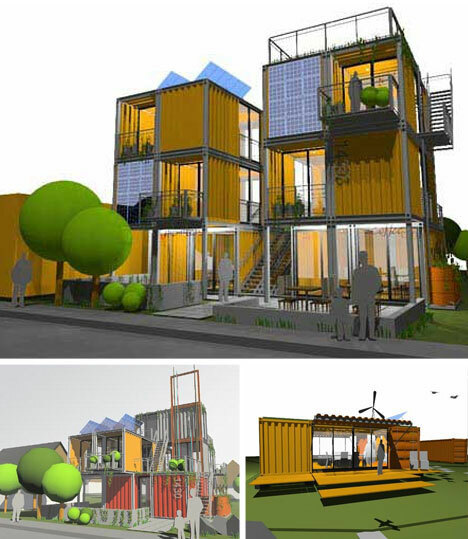 Hybrid Seattle takes a highly stylized and creative approach to creating container architecture designs. Many of their works are, so far, purely academic exercises showing the potential possibilities of shipping container structures. 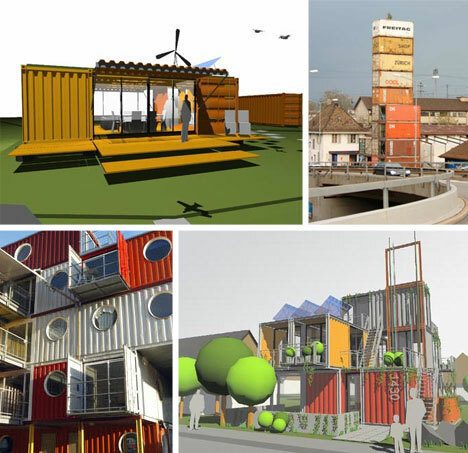 However, they have build some small-scale modular housing units to test their theories and are in the process of developing a larger cargotecture housing project this year. Lot-Ek is always on the cutting edge of strange and interesting architectural designs so it is no wonder they have their own visions of shipping container houses. Their solutions rely on a relatively simple external configuration that provides for more complex spatial possibilities on the interior of their structures. They are fully equipped with everything one would want in a home and lacking no luxury. 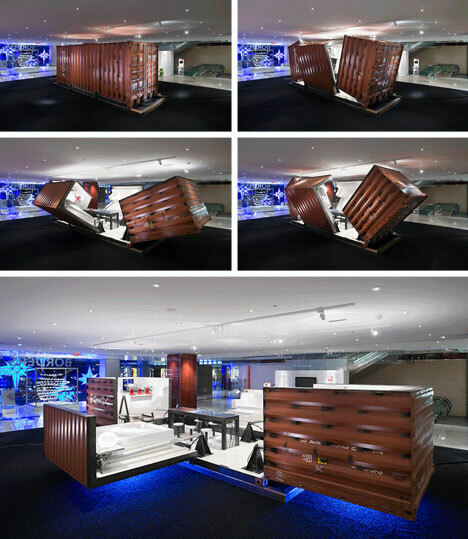 So if all of this got you somewhat more interested in the idea of having a shipping container structure of your own there are firms like Royal Wolf who create and sell reconstructed shipping containers. A lot of their applications are fairly low-tech (but thus also way more affordable) such as storage or work-site offices, refrigeration and so on. However, they have extensive experience creating living spaces, recreation rooms, kitchens, diners, workshops and more for private citizens and the military.